Create compelling customer experiences. 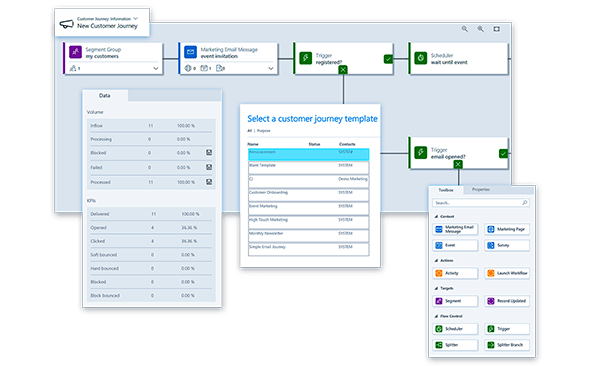 Dynamics 365 for Marketing delivers powerful, personalised experiences through every phase of the customer relationship. 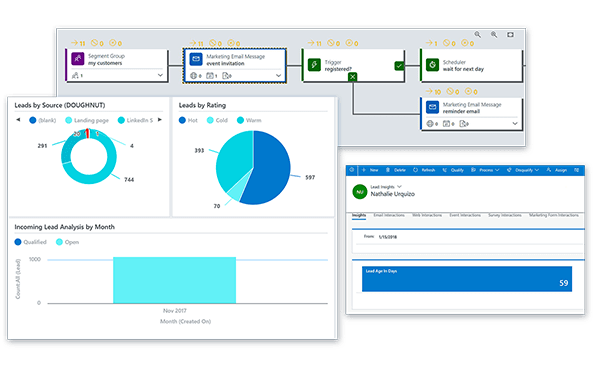 Connect sales and marketing, automate processes, and make smarter decisions to maximise your marketing ROI. 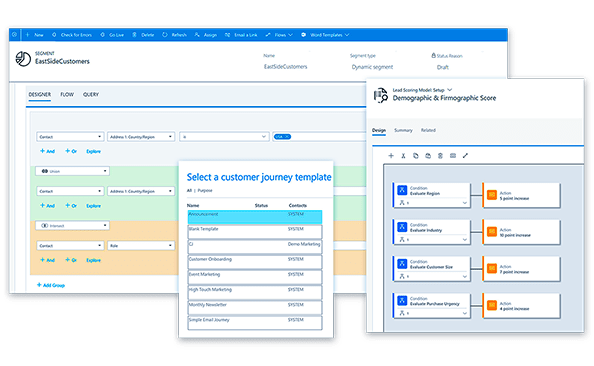 Dynamics 365 for Marketing makes integrated, cross-channel marketing possible with a centralised customer profile combining online and offline data. Take advantage of automated workflows that move and track leads effectively through the marketing and sales funnel. Configurable Power BI dashboards allow real-time tracking of campaign performance, and built-in intelligence helps personalise experiences based upon customer engagement. Harness cutting-edge machine learning and cognitive capabilities to create personalised campaigns that automatically adapt to a customer’s behaviour. Target the right audience with intelligent dynamic segmentation and prioritise leads using multiple lead scoring models. Use sophisticated tools to build and coordinate campaigns and generate more leads across earned, paid and owned channels. Take advantage of finer segmentation capabilities to deliver contextual one-to-one communications. Set up automated workflows to retarget across channels and gain real-time insights into ROI. Collaborate with colleagues, customers and leads with built-in Word and Excel templates. Sync leads captured on LinkedIn with Dynamics 365 Connector for LinkedIn Lead Gen Forms. Manage event registrations, speakers, venue logistics, and attendance data with ON24. Build a social profile, surface new leads, and engage with prospects and customers across social channels with Microsoft Social Engagement. If you're considering Microsoft Dynamics 365 for Marketing, or just want more information, we're happy to answer all your questions.